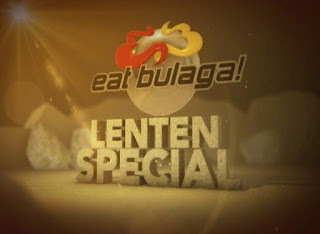 IT’S BEEN A TRADITION for “Eat Bulaga” to feature inspirational lenten-themed dramas during the Holy Week season. Ruby Rodriguez is honored to topbill the first offering today, Holy Monday, a touching May-December love story entitled “My Carinderia Girl”. She plays an old maid who falls in love with a much younger man played by That’s My Bae winner, Kenneth Medrano. Directed by Lynnet Zurbano, they are supported in this episode by Pauleen Luna, Luane Dy, Sinon Loresca and Baes Kim Last and Tommy Penaflor. This will be followed by an intense drama starring Alden Richards, “Haligi ng Pangarap”, where he co-stars with Sen. Tito Sotto, Joey de Leon and Tirso Cruz III in the story of faith and sacrifice about a father who faces a big crisis when his son figures in an accident, directed by Adolf Alix. For Tuesday, Nora Aunor and Ryzza Mae Dizon star in a poignant drama entitled “A Daughter’s Love”, directed by Ricky Davao. Nora plays a mom who loses a loved one and gets into deep depression while mourning. Ryzza plays her daughter who’ll do everything for her mom not to lose hope. With them in the episode are Pia Guanio, Lui Manansala, Ana Roces, and Miss Millennial winner Julia Gonowon. This will be followed by “Pamilya”, directed by Real Florido and starring Ryan Agoncillo, Paolo Ballesteros, Jake Ejercito, Baeby Baste and Ronaldo Valdez in a story based on the Holy Bible’s the prodigal son. On Wednesday, the first story will feature the comic tandem of Jose and Wally doing drama this time in “Hating Kapatid”, the story of two friends whose lasting relationship is put into a crucial test. It also features Bae Miggy Tolentino, directed by LA Madridejos. The final story stars Maine Mendoza as the daughter of Vic Sotto who discovers that her single dad has a deep dark secret. Will she be able to forgive him? Also in the cast are Rita Avila, Allan K, Jimmy Santos, Mama Tenten Kendoll and Anjo Yllana. 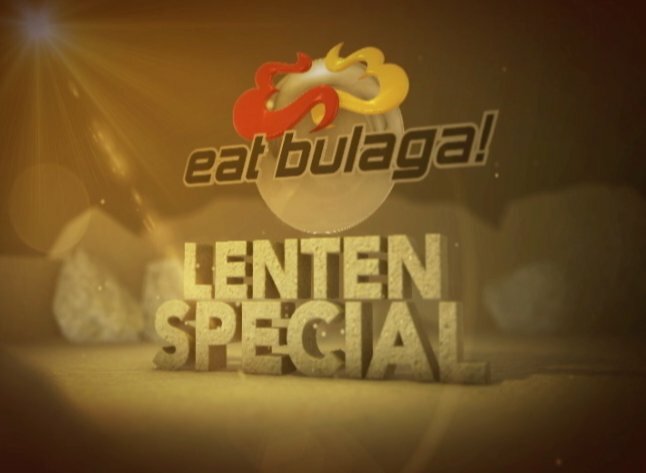 Don’t miss all these moving stories in Eat Bulaga’s special Lenten presentations from Holy Monday to Holy Wednesday on GMA-7.